I’m so excited! 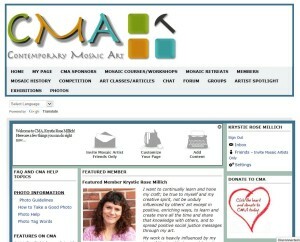 I’ve been chosen as the Featured Artist for the week of May 24-30, 2014 on Contemporary Mosaic Art – CMA, which is an international group of mosaic artists who “want to share ideas, develop their technique, creativity, and imagination.” Are you a mosaic artist and not a CMA member? It is SUCH a great site; brimming with tips, techniques, resources, information, photos, etc. 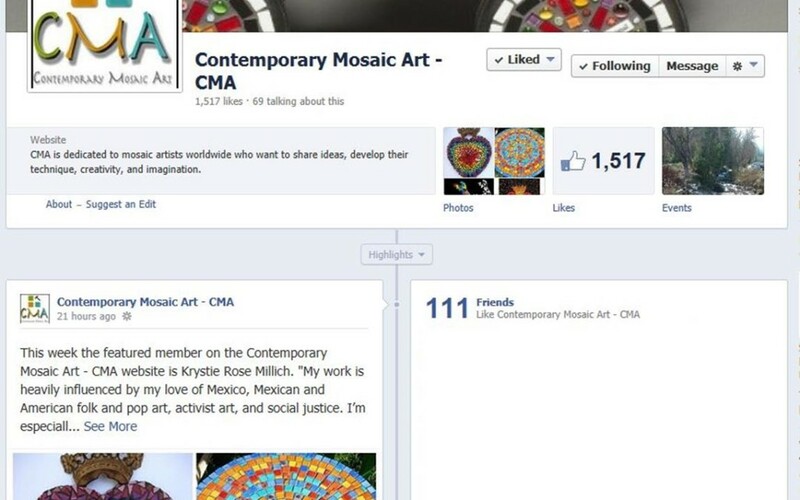 !Membership is limited to mosaic artists only; message me and I can give you a referral to get signed up! CMA is mainly an online community, but they also hold gatherings at the annual national American mosaic conference (SAMA), international mosaic conferences, and they are even adding a ‘CMA (mosaic) Summit’ this October in Ashland, Oregon!